I really enjoyed my last give away I just had to do another one !!! I saw allot of you liked the Stila line so I went with another stila product two of there new travel pallets . That I really enjoy I've collected all of them and I love the quality of each pallet . I wouldn't give away something I didn't love and I know you ladies are going to love these pallets !!! - write a comment down below entering this giveaway ,please provided me your email address so I may contact you !!! and that's it !!! so please enter so you can be the one to enjoy these pallets !!! I'd love to enter your giveaway. yey! stila products are fun! I am already follower trough google friend connecter name liz. I would like to merry this gorgeous giveaway ! I am a follower. Love both palettes. Love Stila even more. Hey Girl...Please enter me =D Thanks so much for the opportunity! awesome!! you r so generous!! My gfc is Sara.H and I am already following you. Thank You hun, for so lovely comments and following me! I very appreciate it! I'm following You! You are so gorgeous and so kind! So amazing giveaway!I never had been lucky, but I will be adventuress and ask You : "Please, enter me for this amazing giveaway." I have to link this giveaway on my blog sidebar! Please enter me in your giveaway! Thank you so much!!! I am a follower and I also just did a blog sidebar post of your giveaway!!! I'd love to enter this drawing! aww cute palettes. i am already following and would like to enter :) is it okay if i post this in the sidebar? Already follow via GFC as Monik. Post this giveaway on my giveaway page here. I'm following - enter me please! stila is amazing :) Please enter me! Please enter me! Love the giveaway! I been following your for months now. Also posting this in my blog. Please enter me! :) Thank you for holding such a wonderful giveaway! Enter me please I am a follower of your blog via GFC. oh you are so sweet to have another giveaway. What a beautiful things!! I dont miss anything by trying! Thanks for stopping by mi blog ! Mua! Hello! Thank you for having this giveaway! love the colors in trendsetting in tokyo!! Following on GFC as hunter_lynsey. My email is hunter_lynsey@hotmail.com. I am a follower ;) please enter me. I am actually excited for this one! I'm a follower - please enter me! Please enter me in this giveaway! I love Stila! Aww! These are too cute for words! What a great Giveaway, thanks for thinking of us! Me already following u.Enter me plz!! I'm following you thru GFC, and my email ID is techiespidergurl(at)gmail(dot)com! hi hun :) enter me please! please feel free to enter mine too (ends 9th Dec)! Posted the giveaway on my sidebar.. Thank you!! Have a great December! Hi Enter me please. My GFC is Hadia Salahuddin. Follow via GFC as angel. I follow you as Thifa and would love to be entered! Awesome giveaway!, enter me please!! Great giveaway. My GFC is sole. Those are great palettes, thank you so much for offering them!! 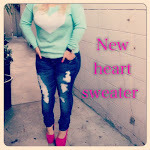 Im a new follower... Im loving your blog!! Please enter me :)!!! Awesome giveaway! :D I'm a follower, under the name Kathy. count me in! Followed you via GFC! I already follow you via GFC. Welcome to my lifestyle ,makeup, beauty and fashion blog! Im a professional makeup artsist from North Hollywood,CA with a passion for beauty, makeup and fashion. For any questions or blog post requests, Please leave a comment or send me an email, I would love to hear from you!! Blog design made by: This Girl.